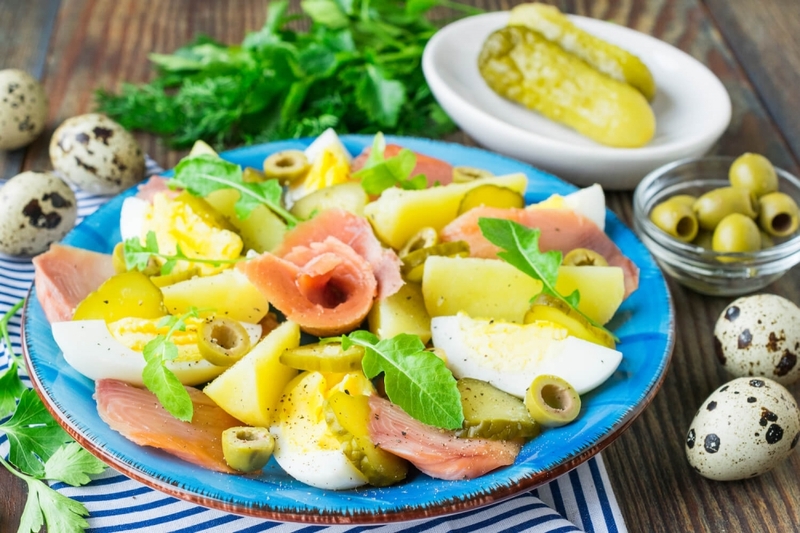 We cook tasty, healthy and nourishing smoked pink salmon, potatoes and marinated cucumbers salad. This recipe will be suitable both for daily and for the holiday menu as salad is very bright and appetizing. At will the smoked pink salmon can be replaced with herring or mackerel. 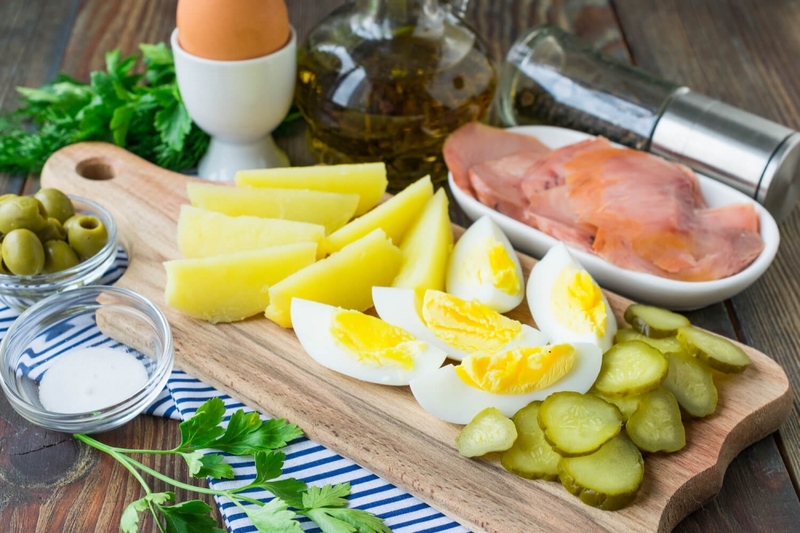 Sunflower, olive or sesame oil will be suitable for seasoning of salad. 1. Boil hard, cool, shell and cut into 4-6 segments eggs. Wash, boil to readiness in the salted water, cool, peel and cut into segments potatoes. Cut pickled cucumber into rings. 2. Cut smoked pink salmon into the thinnest slices. Now it is necessary to form a salad. 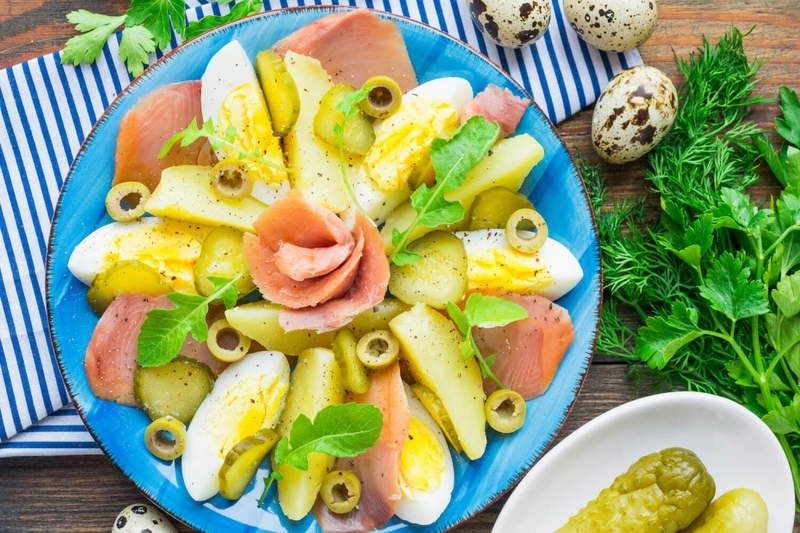 Lay on a plate out segments of boiled egg and potatoes, alternating them with slices of red fish. Add the rings of pickled cucumber and green olives cut into halves. 3. Season a salad with ground black pepper. If necessary add a little salt. 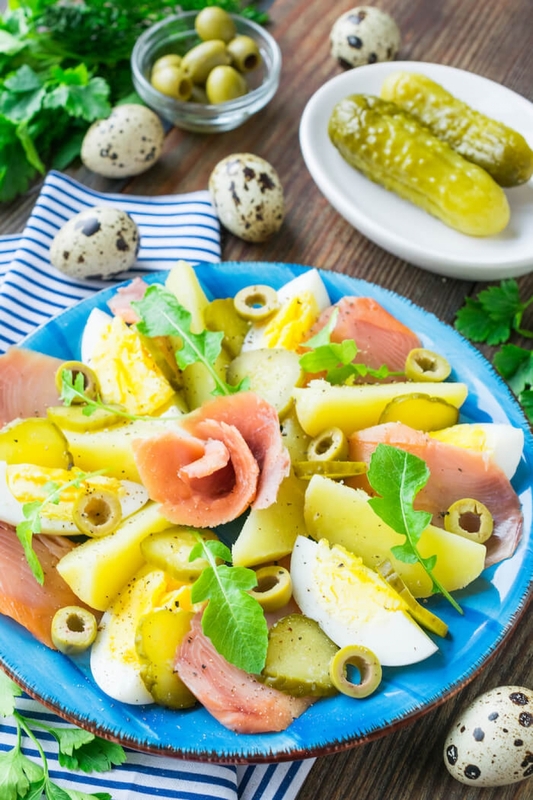 Add fresh greenery to a smoked pink salmon salad. It can be parsley, dill, basil, lettuce leaves or microgreens. Let's water a ready dish with a small amount of vegetable oil. 4. 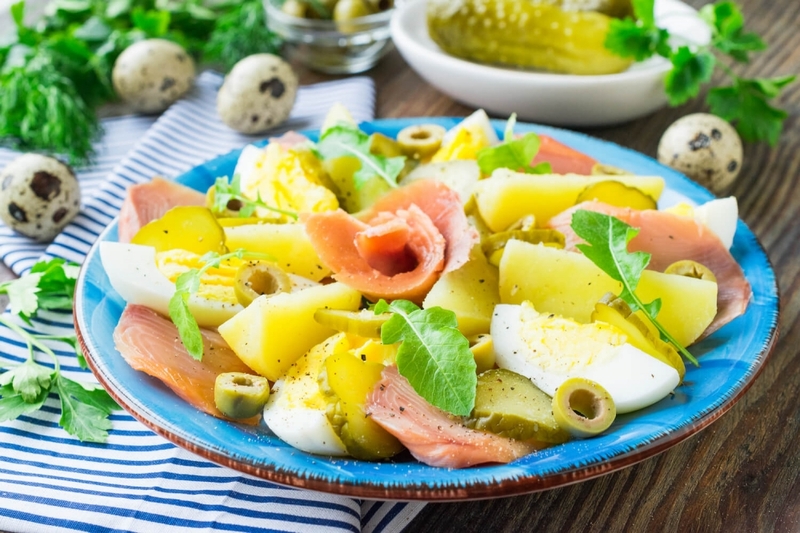 A smoked pink salmon, potatoes and pickled cucumbers salad is ready. Serve it right after preparation.